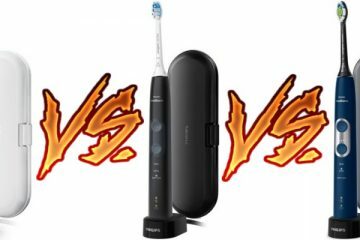 Philips Sonicare Essence vs Series 2: Is Series 2 Better Toothbrush Than Essence? When it comes to the best toothbrush in the Sonicare Essence vs Series 2 battle, the differences are important yet subtle. 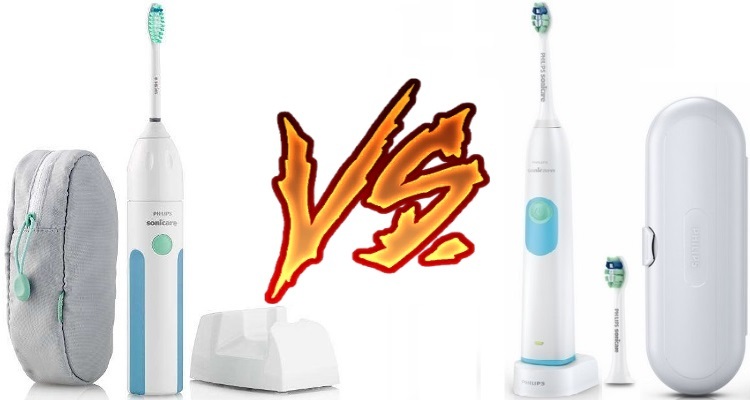 The Philips brand company makes great toothbrushes, but it can be difficult to really decide between the two of them. 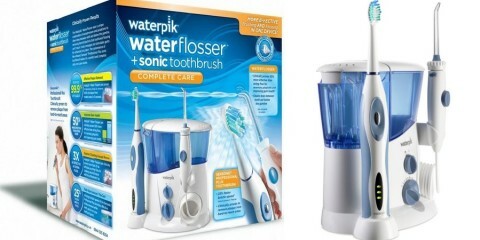 They both come with incredible features standard in all Sonicare brands like sonic technology. It removes more plaque and gives you a cleaner mouth. The dynamic fluid action blasts food and plaque from between teeth and below the gumline. There’s also the Smartimer, which is standard for many of this company’s toothbrushes. It’ll deliver 2 minutes of powerful cleaning. After two minutes, it’ll alert you. When you move past the standard features in every toothbrush by Sonicare, it’s time to dig into the features that are important to you and your oral hygiene needs. 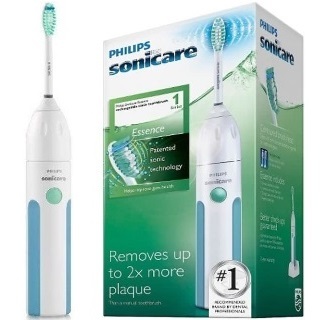 The Sonicare Essence has sonic technology. With this technology, you get 31,000 brush strokes each minute that you’re using the toothbrush. Two minutes of brushing as recommended by dentists will give you 62,000 brush strokes. The sweeping motion of the brush pushes water and bubbles between teeth for extra cleaning. The bristles are contoured to the shape of your teeth. The angled brush is a feature that helps you get to the back teeth. Those are the ones that need the most cleaning, too. The Essence toothbrush has Easy Start. This is a great feature for people who are new to electric toothbrushes. For the first 12 uses, the toothbrush will operate at a lower intensity. This allows you to adjust to the power of the electric toothbrush. It also has a Smartimer. As mentioned previously, dentists want you to brush for 2 minutes. It’s been recommended by the American Dental Association as a good amount of time to remove food and plaque. 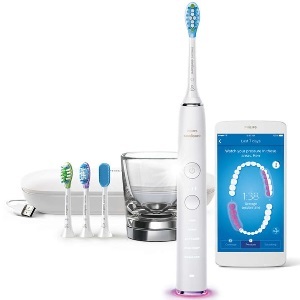 After 2 minutes with the Smartimer, the toothbrush will automatically shut itself off. You won’t have to guess whether you’ve been brushing long enough. This is a great travel toothbrush. After a single charge, you can use this toothbrush for 2 weeks without recharging. On the handle of the brush, you’ll be able to see an indication of the remaining battery time. You can easily toss this brush into a bag and not worry about dragging along the charger. The Series 2 also has sonic technology. The movement of the bristles pushes water and bubbles between the teeth. The 31,000 brush strokes per minute are thousands more than you’d get with a manual toothbrush in the same amount of time. While delivering powerful cleaning, it’s still safe for dental work, too. 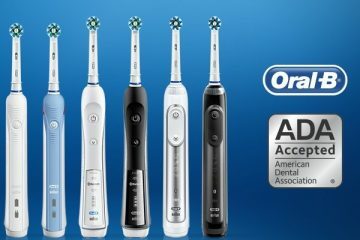 The Series 2 was designed to give you more plaque removal when brushing. The curved head and power tuft at the end of the ProResults brush are features that give better cleaning. The head is curved like your teeth. The tuft gets into spots that are normally hard to reach. Bristles in this Series 2 are blue reminder bristles. When they’re ready to be replaced, the bristles will go from blue to white. It’s a very visual reminder for when it’s time to replace the brush head. Sonicare wants to make sure that you’re comfortable when changing from manual to an electric toothbrush. For that reason, they give you the Easy Start feature in this Series 2. The first 14 times you brush will be at a lower power. That’s a week of brushing twice a day. The charger for this toothbrush is small enough to save you space in the bathroom. On the handle of the brush, you’ll find a 2-color indicator. It’ll let you know when it’s time to recharge. The charge should last approximately 2 weeks. The beauty of Sonicare is that they’ll put their best features into every toothbrush they make. The Essence and the Series 2 have Easy Start technology. When switching from manual to electric for the first time, it can be overwhelming. Easy Start begins the brushing journey with a low power for the first 10 to 14 uses. Both toothbrushes have sonic technology. It’s a patented process that delivers 31,000 brush strokes to your teeth. It cleans between teeth and below the gumline for the healthiest mouth possible. Once you’ve added your favorite toothpaste, the brush will deliver flowing water and bubbles between teeth. It’ll gently yet powerfully remove plaque and food from your teeth and gums. Sonicare wants to make sure that you’re brushing for the right amount of time. Dentists always recommend at least 2 minutes of brushing twice a day. The Smartimer will shut down when you’ve hit that 2 minutes. You don’t have to guess how much longer you have to brush. If you want to continue brushing past the two minutes, it’s simple to start the brush again. Many people who start brushing with these toothbrushes want to continue and brush for longer than recommended. They love how clean their mouth feels. As far as the charge for these toothbrushes, it will last for up to 2 weeks. That’s approximately 14 days of brushing twice a day before you’ll need another charge. The indicator on the handle will alert you when it needs recharging. The Essence comes with a soft travel case and a travel cap. The cap and case provide a hygienic way to travel with your toothbrush. You can easily take this with you on trips that will last up to two weeks. The toothbrush won’t need a charge for at least that long. While both of these toothbrushes have Easy Start, one of them has more days for adjustment. The Essence has 12 uses at a lower power with this feature. That’s 6 days of easing yourself into using the toothbrush. That’s good for adults who are switching from manual to electric. The Series 2 delivers 14 uses at a lower power. That’s 7 days of easing into the power of an electric. Teenagers or those with dental work might need that long to get comfortable. 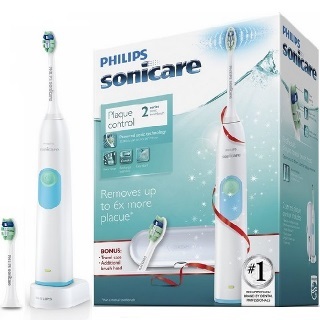 Philips Sonicare Essence has a soft-touch handle. It’s an ergonomic design that is comfortable in the hand. While the Series 2 is slimmer, the Essence has a grip on the side that makes it easy to hold. Each toothbrush comes with its own brush head. The Series 2 comes with a ProResults brush head. It’s focused on plaque removal and controlling the buildup of plaque in the future. The Essence comes with a Simply Clean brush head that’s focused on cleaning. Of those two brush heads, the ProResults one for Series 2 has reminder bristles. The other one does not. The reminder bristles are a visual reminder of when it’s time to replace the brush head. It’s normally at 3 months. The choice between the Essence and Series 2 comes down to a few slight differences. The Essence has a more ergonomic grip on its handle and a compact charger. The Series 2 has more features like the ProResults brush head with reminder bristles. It also delivers more uses during Easy Start. The Series 2 even has more colors available. There’s white, steel blue, coral, black, and guacamole. The Essence has one simple design color. Overall, the Series 2 is the better toothbrush.